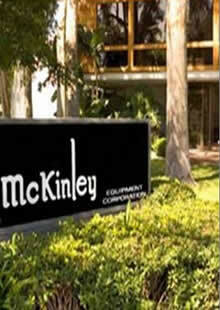 McKinley Equipment provides emergency and scheduled repair service for your loading dock, commercial door, and warehouse equipment. Our technicians are available 24 hours a day, 365 days a year for your repair and replacement needs. Our expert technicians are ready for any emergency repair service you may need on a 24/7 basis. For those non-emergency repair service needs for your loading dock and door equipment, McKinley Equipment offers cost effective scheduled service during normal business hours. Our service is available in Southern California, including Los Angeles County, Orange County, Riverside County, San Bernardino County, the Inland Empire, San Diego and Santa Barbara as well as the greater Las Vegas region. The products we service include dock levelers, dock lifts, vehicle restraints, wheel restraints, commercial doors, industrial doors, overhead doors, roll up doors, sectional doors, high speed doors, fire doors, storefront doors, personnel doors, traffic doors, man doors, grilles and grille doors, vertical lifts, VRC’s, freight lifts, scissor lifts, lift tables, industrial fans, balers, shredders, compactors, pallet racking, storage shelving and more. If you have it in your facility, we can fix it.